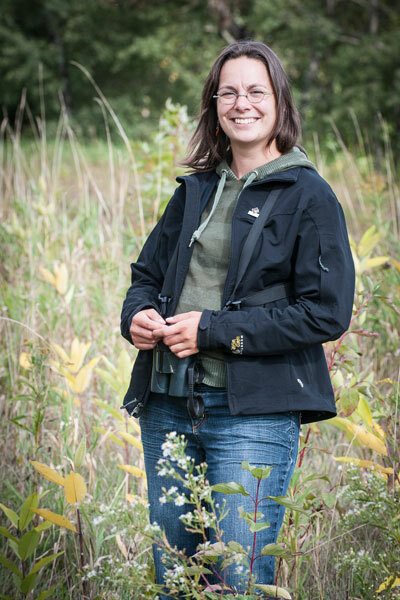 Bioecology technician Marilyn Labrecque is responsible for coordinating the Important Bird Areas (IBA) Program in Quebec. She works with local organizations such as the Lake Saint-Pierre Area of Prime Concern (ZIP) Committee. Four locations in the Lake Saint-Pierre biosphere reserve have been designated as IBAs: Nicolet and Baie-du-Febvre, the Saint-Barthélémy floodplain, Central Lake Saint-Pierre and Grande Île. Nature Québec has placed an interpretive panel with information about IBAs at the entrance to the walkway that runs through the Pointe-à-Caron floodplain. The IBA Program seeks to draw attention to high-quality bird habitats and highlight the need to protect them. 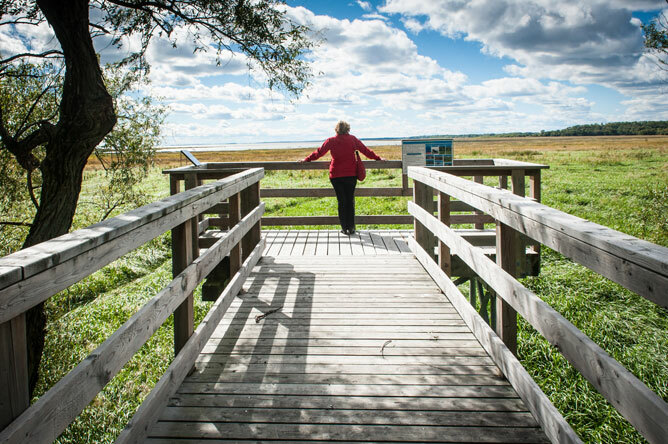 The Pointe-à-Caron elevated walkway is 985 metres long and allows visitors to explore this wetland habitat and observe its abundant fauna and flora. Along the walkway, interpretive panels provide information about the diverse marshes and swamps of Lake Saint-Pierre. Marilyn Labrecque explains that Nature Québec works with numerous collaborators on a variety of projects advocating nature conservation, ecosystem maintenance and sustainable resource use. 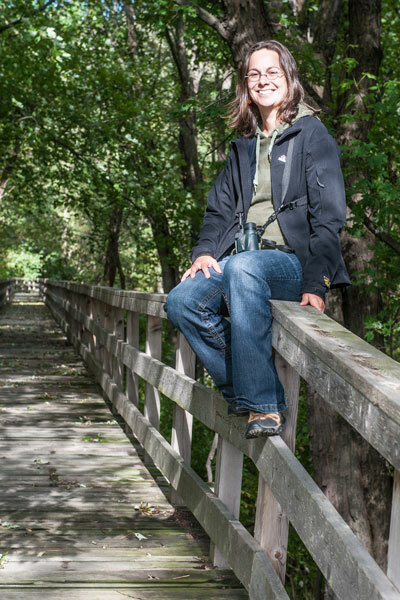 Before joining Nature Québec, Marilyn collected data for projects such as an assessment of the potential effects of climate change on birds (Canadian Wildlife Service) and a survey of Bicknell's Thrush on Mount Gosford (Regroupement QuébecOiseaux). The 576-metre elevated walkway at Pointe-Yamachiche leads visitors into a wide swampy area. The interpretive panels along the way provide many details to help them discover the rich fauna and flora of this captivating habitat. This project opens a window on majestic Lake Saint-Pierre and its vast floodplain. The Pointe-du-Lac seigneurial mill, also known as the Tonnancour seigneurial mill, is made up of two buildings: a flourmill and a sawmill. The flourmill was built between 1765 and 1784 as part of the Seigneury of Tonnancour. It replaced the original mill, which was built in 1721. In 1927, the mill was purchased by the Brothers of Christian Instruction, who built a sawmill perpendicular to the flourmill at the end of the 1940s. Both mills were powered by hydraulic energy from the water in Saint-Charles pond. The Pointe-du-Lac seigneurial mill has been designated a heritage site. Many attractions surround this historic mill, not least of which is the beautifully landscaped garden. 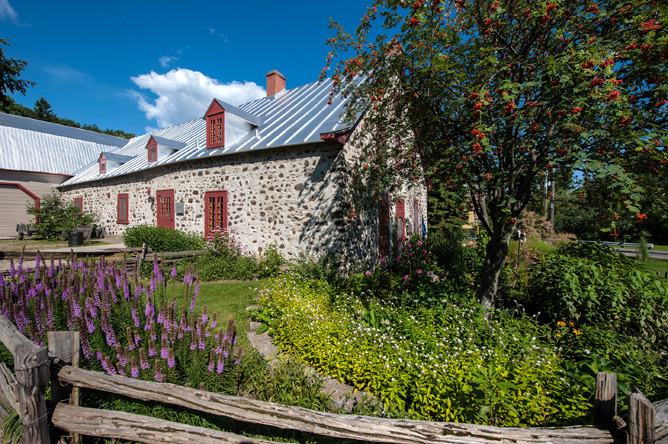 In addition to the flourmill and sawmill, the Moulin-Seigneurial-de-Tonnancour heritage site includes a pool, a balustrade, support walls, water channels, a waterfall and a spillway. 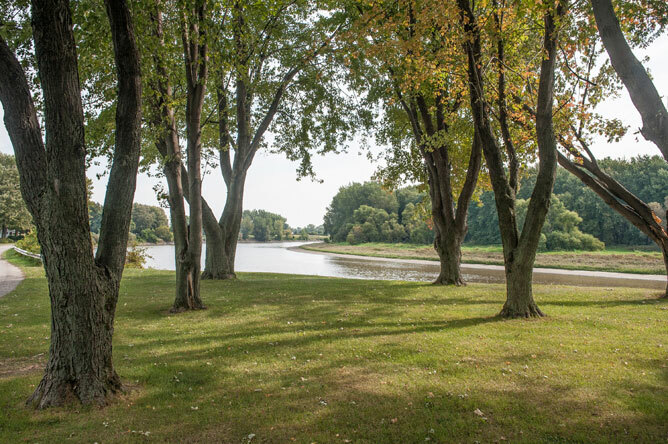 After visiting the "Master Miller" and "Sawdust" exhibitions at the segneurial mill, visitors can take a leisurely stroll around the grounds. 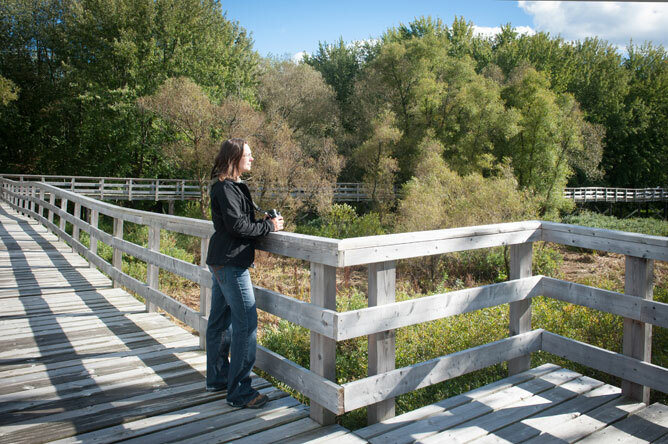 The elevated walkway in Anse du Port ecological park in Nicolet leads visitors through a marsh and a stand of maples growing on the floodplain. 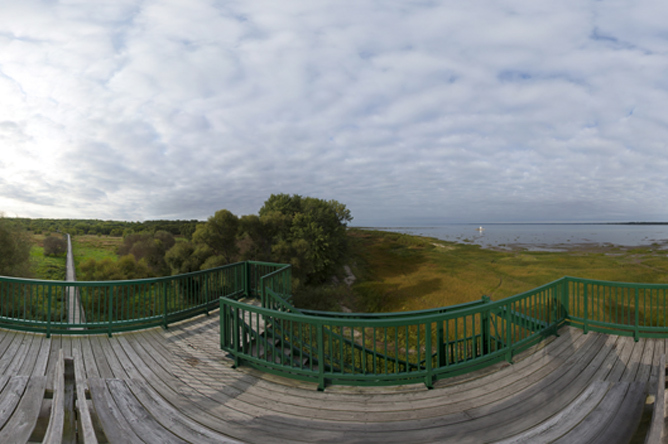 It ends at an observation tower over 12 metres tall near the St. Lawrence. What is life? A struggle against death. A plant drinks, breathes, feels cold, heat and humidity; it lives, therefore it struggles. Could our companion in this struggle not elicit our sympathy? But it lives, it struggles, it fights on our side! Without it, we would perish. Abbot Léon Provancher (1820-1892), founder of the scientific periodical Le naturaliste canadien, studied at the Nicolet Seminary from 1834-1840, and became a professor there immediately after completing his studies. This eminent botanist and entomologist wrote about how he would cultivate a small garden near the Seminary with his fellow students. They would win the top prize in horticulture almost every year. 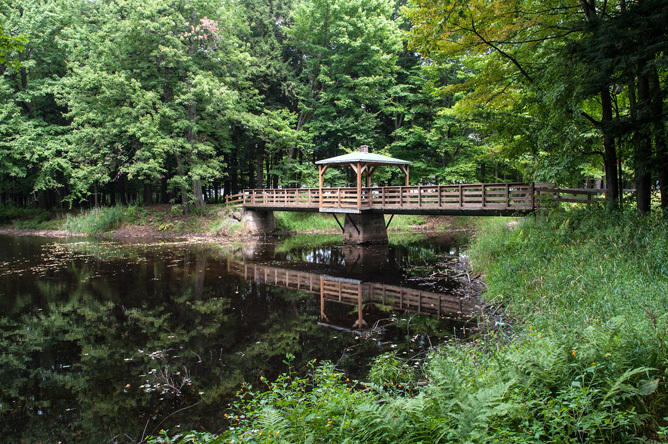 The Boisé du Séminaire is the first private nature reserve in an urban setting in Quebec. 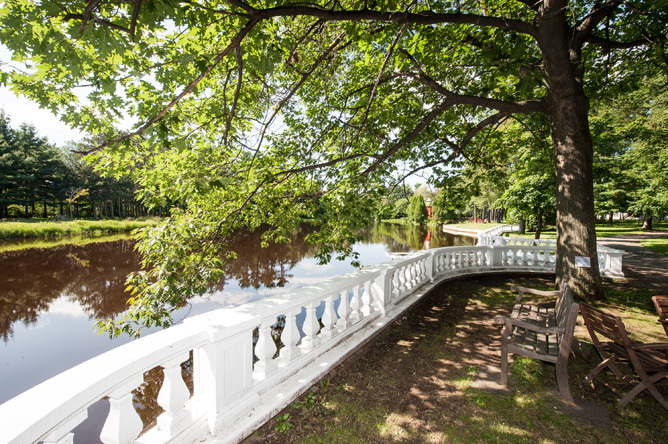 This peaceful oasis with its tall pine trees is located behind Nicolet Cathedral. Like indomitable giants, stay upright! Poet, playwright and politician Louis-Honoré Fréchette (1839-1908) completed part of his studies at the Nicolet Seminary from 1854 to 1860. 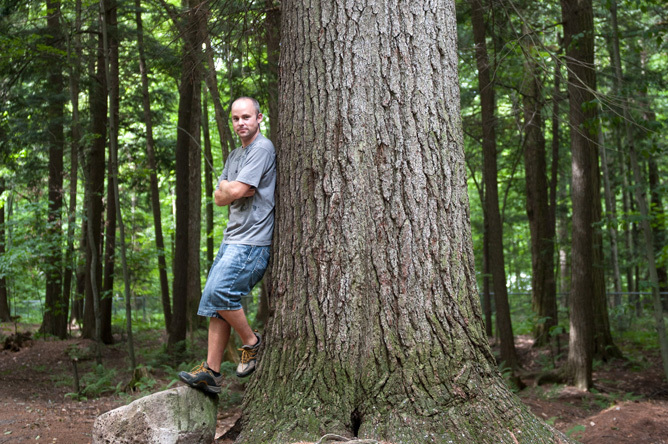 Guillaume Lafond leans against a hundred-year-old pine in the Boisé du Séminaire in Nicolet. 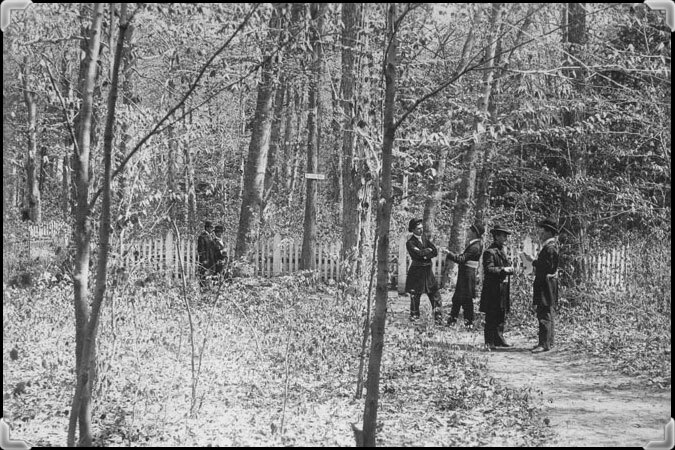 People walking in the woodland near the Nicolet Seminary, around 1898. It's the most picturesque village many people have ever seen. Many hoop nets, called 'varvaux' by the local fishermen, can be seen stretched between poles. Majestic silver maples in Notre-Dame-de-Pierreville, a village where commercial fishermen live.